PMT (GB) Ltd started 17 years ago and is an ISO 9001:2015 quality led company with ISO17025 Accreditation (0829) for Aerosol Particle Counter Calibration and Air Sampler calibration. We are dedicated to the provision and service of contamination control equipment. The instruments we supply are used for particle counting both in air and liquids, microbial air sampling, compressed gas sampling, ESD elimination, cleanroom monitoring, real time viable particle counting as well as other contamination control process’s. 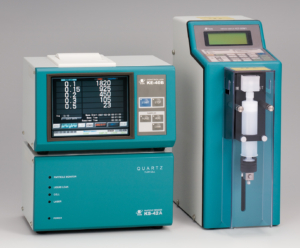 We offer a range of Liquid Particle Counters manufactured by Rion Co Ltd, for the chemical, pharmaceutical and electronics industry detecting particles from 0.03um up to 100.0um. Our range of counters are compatible with Sulphuric Acid, Hydrofluoric acid as well as a range of other chemicals, WFI and Purified Water.